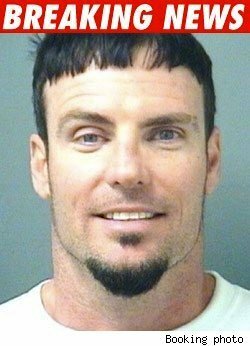 Vanilla Ice Is In The Slammer. Again. Actually, being arrested for domestic violence is an invention that’s been around for quite a long time. Ice was booked by Palm Beach County Sheriff’s deputies at 10:43 PM ET on a charge of domestic battery…he got into an argument with his wife, Laura, and he pushed her. I’m going to take a wild guess here, and say that all those anger management classes Vanilla Ice was ordered to take didn’t do him a lick of good. LOVE the eyes, dude. They’re so red and puffy, that’s hot. 48 queries in 0.606 seconds.